Donald Simpson Bell was born in Harrogate in 1890. 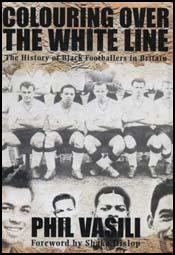 He trained to become a teacher at Westminster College and while in London played for Crystal Palace. After leaving college Bell became a teacher at Starbeck College in Harrogate. He also played as an amateur for Newcastle United but in 1912 he turned professional and played for Bradford Park Avenue. On the outbreak of the First World War Bell became the first professional footballer to join the British Army. 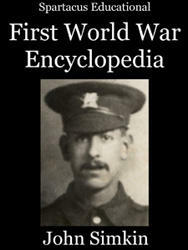 He enlisted as a private but by June, 1915 he had a commission in the Yorkshire Regiment. Two days after his marriage in November, 1915, he was sent to France. 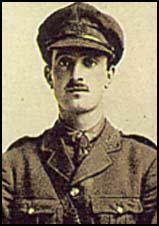 Second Lieutenant Bell took part in the Battle of the Somme. On 5th July, 1916 he stuffed his pockets with grenades and attacked an enemy machine-gun post. When he attempted to repeat this feat five days later he was killed. He was awarded a posthumous Victoria Cross for his action of 5th July. It is the only one ever awarded to a professional footballer.